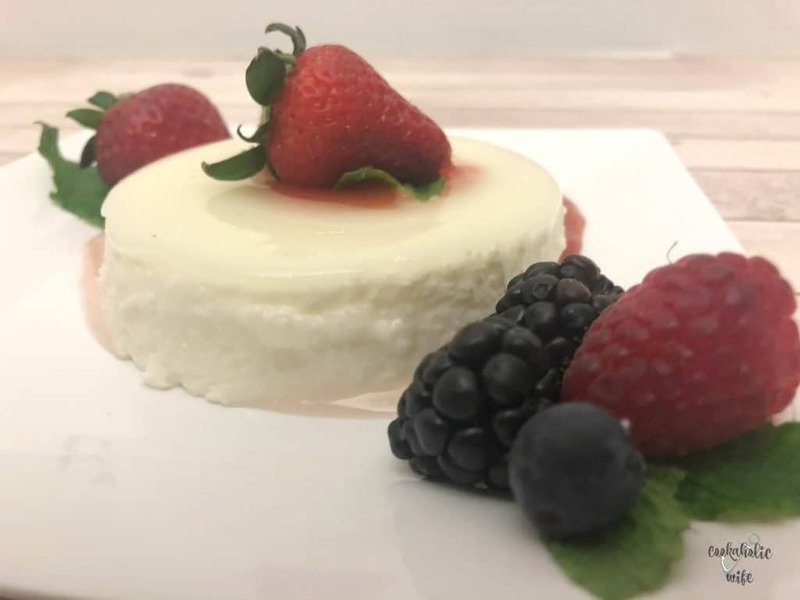 Panna Cotta is such a fancy looking and sounding dessert, but it’s not really all that difficult to make. If you’re looking to impress some guests for your next holiday or dinner party, this would be a great option. When paired with fresh berries and mint, it’s perfect for spring. 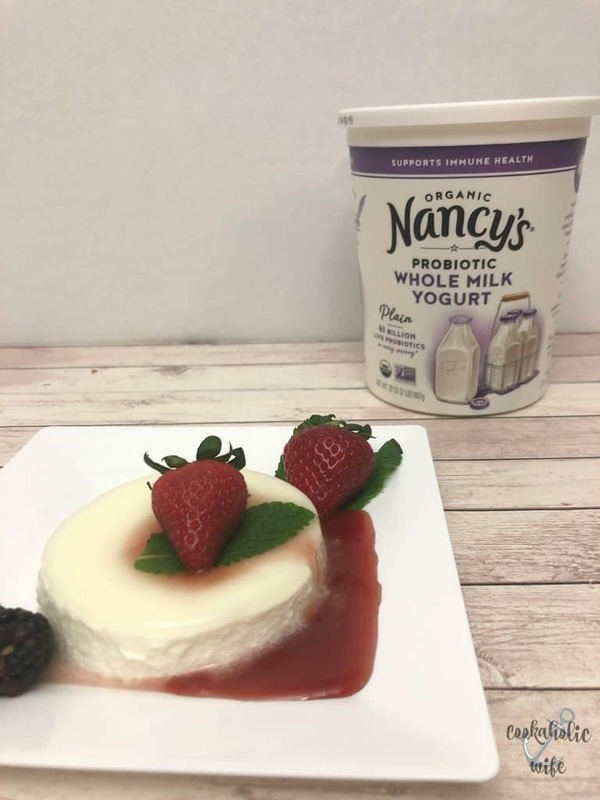 Traditional panna cotta is made using heavy cream, gelatin and sugar but this version uses Nancy’s yogurt instead. You will need to strain all of the liquid from the yogurt to get the thicker consistency that you need. (Think sour cream) While the straining and then the setting of this dish does take some time, you can easily make it in advance and just keep it in the fridge until you are ready to serve. You’d think that I never make dessert with how my husband was lingering around in the kitchen while I was making this. He kept asking what the next step was and then was incredibly disappointed to find out that he wasn’t going to get to enjoy it until the next day because I opted to keep it in the fridge overnight. Using yogurt instead of heavy cream lightens up this dessert a little bit, but doesn’t take away from the flavor or texture at all. What a great idea to substitute yogurt! 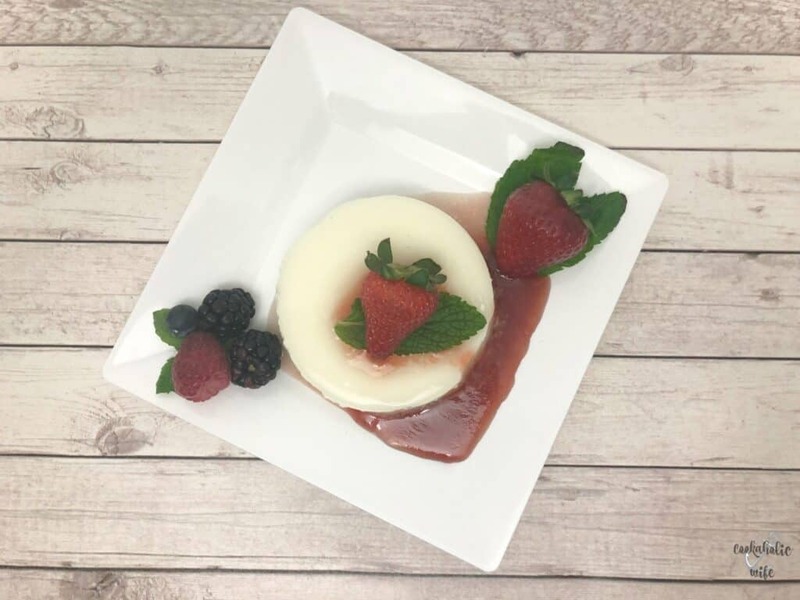 Panna cotta is always such an impressive and delicious dessert.